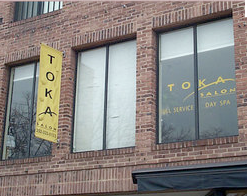 This is Toka in Georgetown, owned by Nuri the fabulous who cut my hair before chemo and helped make sure it was preserved so I could donate it to Locks of Love. Apparently they are also color wizards. They have two locations in DC - Georgetown and Pennsylvania Avenue, a New York location (just blocks my place at 67th and Madison) and just opened an Alexandria, VA location. Check them out - and tell Nuri I sent you! Once I knew I was going to lose my hair, I decided to take control of one of the few things I have control over in this whole situation. Instead of the trauma of watching my beloved curls fall out in clumps over time, I opted for a short pixie cut before I started chemo. 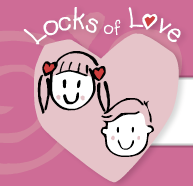 The bonus: I got to donate my hair to Locks of Love, which means it will end up helping a child who has cancer. And if it's one thing I'm in the market for right now - it's silver linings. Nice.